Home Wearable News Google Nexus 5: What do we know so far? Google Nexus 5: What do we know so far? Nexus 5 has been fanning the rumour mill fire since long now and there have been leaks and speculations all over the place claiming to reveal specifications, design and build of the highly anticipated and probably an iPhone 5S rival. First up we will look at the design of Nexus 5. It seems that Google inadvertently gave away design details of the smartphone when it first unveiled the Android KitKat statue in front of its headquarters. One of the Google employees was holding a smartphone that didn’t, in any way, resemble the Nexus 4. Google didn’t do a very good job of keeping the handset a secret, if it was the Nexus 5. A similar handset popped up at a US bar when someone left it on charge unattended. The phone had the same horizontal Nexus branding with a LG logo on the rear. 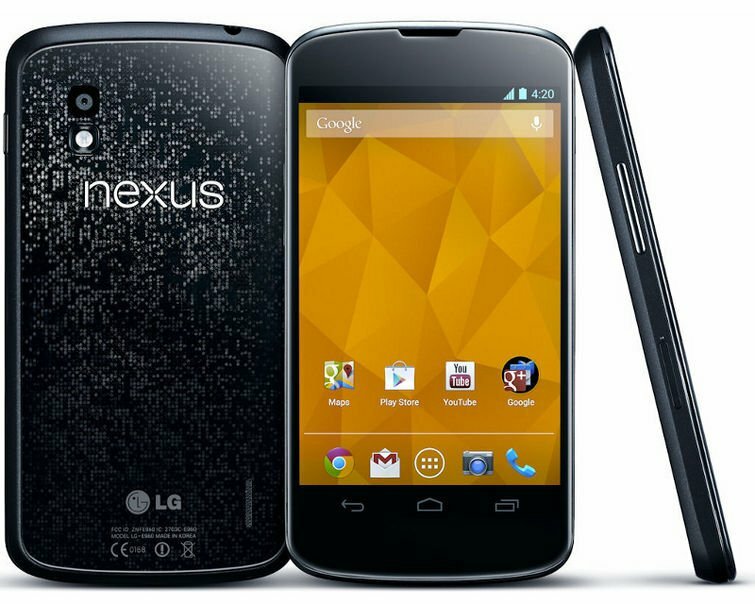 Specification wise we already known that as LG is going to manufacture the smartphone, Nexus 5 will feature more or less the same specification as the recently unveiled G2. According to leaks, the Nexus 5 will boast a 4.9-inch display capable of full HD 1,920 x 1,080 pixels resolution. Like the G2, Nexus 5 will feature the latest from Qualcomm house – the Snapdragon 800 quad-core processor clocked at 2.3GHz complemented by 3GB RAM. Like its predecessor, the Nexus 5 will be in three different storage options – 16GB, 32GB and 64GB. There have been rumours pointing to a 4.5-inch 720p IPS screen, but this doesn’t seem likely considering that 720p is too 2012. Nexus 5 will run Android 4.4 KitKat and there is no doubt about that. Google filed a patent sometime back which suggested that it will have a camera that is location aware while also capable of pulling weather information from the Internet. The patent tells us that the location and weather aware camera will work in sync with other components like accelerometer, light sensor and temperature sensor to fine-tune itself automatically for the best shots. Now there is no known camera sensor which boasts of such speeds of fine tuning and the likely candidate for such a role is MEMS as recent leak claims. Google I/O was the best event when Nexus 5 could have been launched along with Android 4.4, but the event went by without any announcement and according to latest reports, Google is likely to unveil the Nexus 5 at a October 14 event. In a bid to compete with the already flooded smartphone market, Google may offer its Nexus 5 at around £350 – not too high not too low, but significantly higher than the Nexus 4 price point.